IQS Directory provides an extensive list of differential pressure transducer manufacturers and suppliers. Utilize our website to review and source differential pressure transducer manufacturers with our easy-to-use features which allow you to locate differential pressure transducer companies that will design, engineer, and manufacture differential pressure transducers for your exact specifications. Our request for quote forms make it easy to connect with leading differential pressure transducer manufacturers. View company profiles, website links, locations, phone number, product videos, customer reviews, product specific news articles and other production information. We are a leading manufacturer directory who will connect you with the right manufacturers whether you are looking for fast response pressure transducers, low pressure differential transducers, or natural gas differential pressure sensors. Since our foundation, we have been striving to provide customers with the quality products they deserve. Siemens has a wide array of items from compact to ultra heavy duty, and even submersible. They fit just about anywhere and serve the most critical and unique requirements. For differential pressure transducers and all other needs, call today. Strainsert Company has been championing the industry with their technical, sales and manufacturing teams for more than four decades. Their goal is to provide the most responsive, accurate and efficient force measurement solutions for a variety of applications. For all needs, including differential pressure transducers, they will come up with the perfect solution for you. Since 1980, KOBOLD has been a leader in the research, development and manufacture of high quality pressure transducers, gauges, sensors and transmitters. 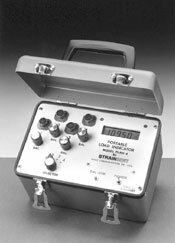 Our reliable products obtain accurate measurements used for flow, pressure, level and temperature readings. A small sampling of our products includes rotating vane flowmeters, differential pressure transducers, ultrasonic transmitters and more. Differential pressure transducers, which are a variety of pressure sensors, are instruments that measure and report pressure; they distinguish themselves from other pressure sensor configurations in that they measure two or more pressurized areas and calculate the difference in pressure between them. Differential pressure sensors are very important tools in many industrial contexts. In many combustion engines, for example, they are used to measure oil pressure on either side of an oil filter. This measurement can provide information about engine efficiency and the need for service. Generally, pressure transducers have a cylindrical body with a pipe fitting on one side and a cable coming out of the other. Differential pressure transducers feature additional inputs; these allow differential sensors to measure the difference between two or more pressure inputs in the unit. Stainless steel is used in most differential pressure transducers because of its strength, durability, and resistance to corrosion. Some medical devices may be equipped with differential pressure sensors to help control the flow of fluids; dialysis machines are one example. Differential pressure transducers are used by a wide variety of industries including medical technology development, hydraulic machinery production, aerospace manufacturing and automotive servicing. They are also widely used in factories to monitor machinery. Differential pressure transducers are called transducers because they are used to convert one kind of energy into another kind of energy. The process of this energy conversion is not unlike the way in which a human hears and understands a sound. When a sound is made, the bones in the human ear respond to the sound and transduce the signal into information that can be processed by the brain. The process of signal transduction for pressure sensors is similar; the signal reaches the sensory receptors of the sensor, which can be piezoelectric plates or other pressure-sensitive materials, and is then transduced in a way that makes the signal comprehensible to humans. There are a few ways in which signals from differential pressure transducers can be interpreted. The simplest way is for the signal to be sent to a dial or gauge that can be quickly and easily be read by a monitoring technician. More complicated are the models that involve data processing computers; such systems are often involved in controlling the equipment they monitor. If, for example, a waste water treatment flow control computer received a signal from a differential pressure transducer about a dangerous build up in water pressure on one side of a valve, the computer system may be able to respond with pressure relief measures. Such systems are sometimes called pressure transmitters. Other similar automatic or semi-automatic pressure control systems are used throughout industry in a variety of applications.